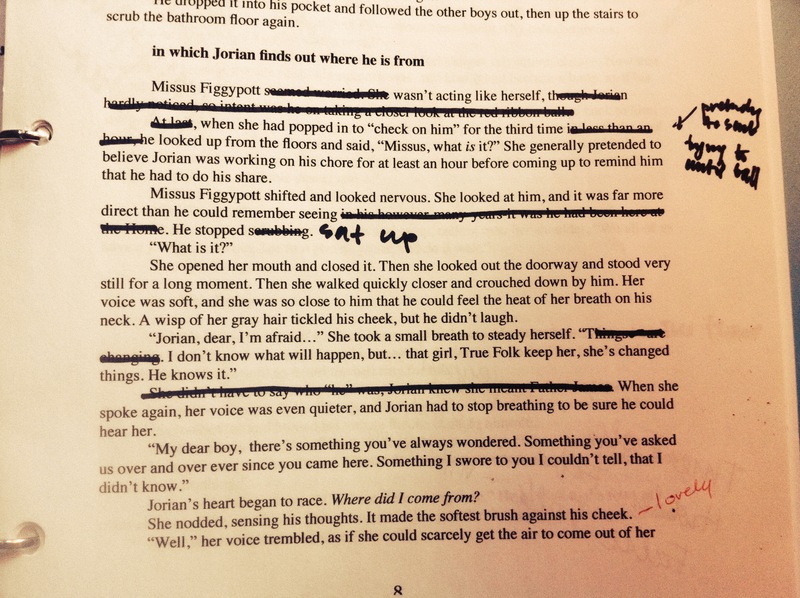 I’m editing another middle grade book. It’s about a boy (Jorian) whose dreams and adventurous spirit are sorely tried by his dull, gray orphanage life– Until Ruby shows up and things start to happen. There’s a kidnapping, a gryphon, an escape, a Marsh Witch, and golems. I wrote the first draft the summer of 2014, shared it with some readers, and let it sit. My first crack at editing was a Question Edit– lots of Whys and What Abouts and Maybes. But midway through, a pile-up of questions and possible solutions got me stuck. It felt like when I was a kid attempting to read the Choose Your Own Adventure books and not die or be marooned on a strange planet. I marked every “turn” with my fingers and would backtrack over and over again, trying to find the winning path. I always failed. 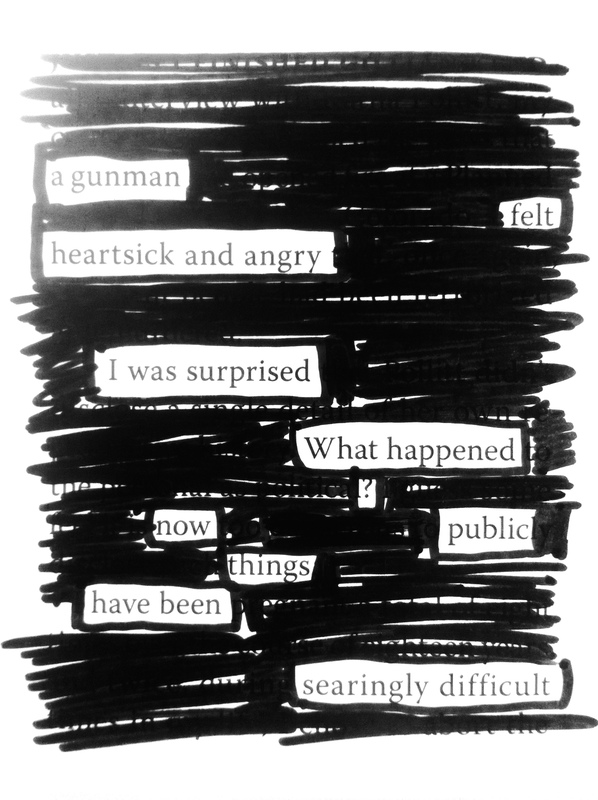 So I set the manuscript aside (pretty unwillingly and basically in denial the whole time) for a month– and then remembered Austin Kleon’s Blackout Poetry. I enjoy doing blackouts. It’s a good reminder that when I write or create I’m not actually making something up. I’m not generating anything– I’m just brushing away whatever is Not It. I thought, Maybe I can edit the same way: just cross out what’s Not It. I decided to cross out whatever snagged. Whatever posed a question I couldn’t easily answer. I haven’t stuck with that rule, but it got me editing again. That black marker goes a lot faster than the red pen! It’s even freed me up enough to write some new chapters in a thin spot. (Thanks to The Story Grid for giving me a new perspective on what happens in the middle of a book). I’m thinking of trying out Beta Readers when I finish this draft. If you’re interested in being on the list, sign up for my sporadic Mailchimp emails (and get a free download of 5 of my favorite oral stories). 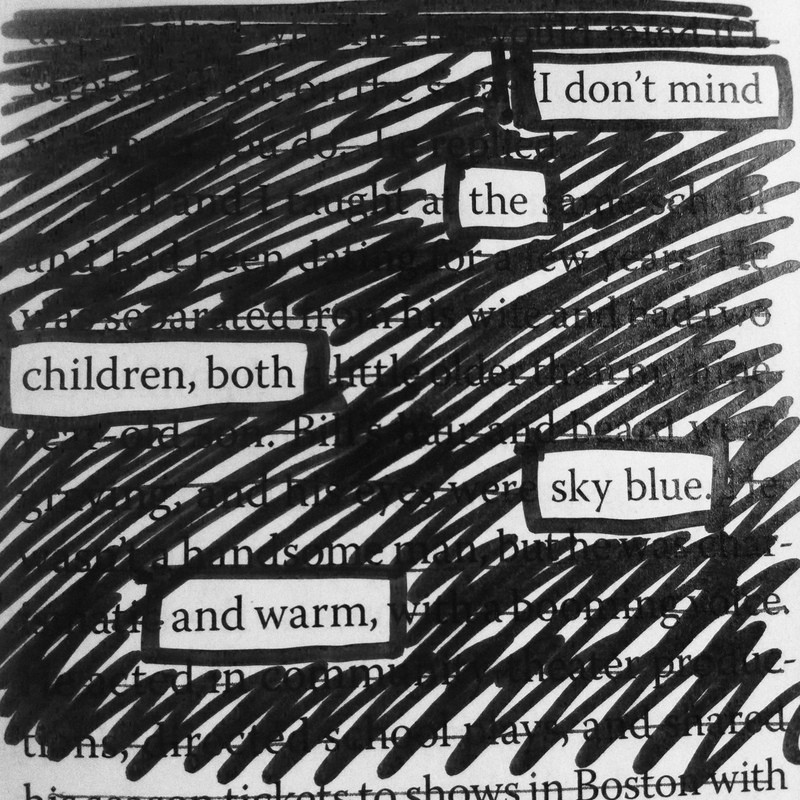 In the meantime– grab an old magazine and try Blackout Poetry for yourself. See where it takes you.